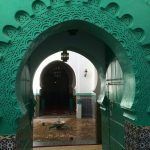 Do you need Visa to transit in Morocco? Sevilla is to Flamenco what Flamenco is to Seville. A city and an art that go hand in hand for some centuries. If Andalusia is the capital of flamenco, Seville is maybe the center of this art.. Seville is a city fully of corners, “tablaos” and bars where you can breathe this flamenco atmosphere every day. While maybe the best flamenco can be enjoyed each two years throughout the month of September, during the Flamenco Biennial of Seville, the city offers its inhabitants and visitors good flamenco shows throughout the year and in general, good quality shows. It is difficult to name all the clubs, bars, associations, schools and other places where you can find flamenco in this city. Bienal de Flamenco de Seville. Every September in the best theaters of the city. Those who visit the city and are interested in attending one of these shows, can be a bit complicated and decide on one of them. During a walk through the center of the city, you will come across several advertising brochures of many of these shows. Although it does not mean that those which do not have named in this article, are of lower quality, we wanted to make it easier for visitors to feel at ease when it comes to a good impression on the art of flamenco. This “Tablao”, founded in 1975 in the Arenal neighborhood, is one of the best in the city of Seville. It offers a complete flamenco show with up to 15 “bailaores and bailaoras”. They offer two passes at 7:30 p.m. to 9:30 p.m. Prices range from € 35 to € 72 depending on whether you want to enjoy a drink, tapas menu or complete dinner while enjoying the show. This “tablao” offers shows everyday in the center of Seville. With prices ranging from 12 to 18 € there are passes of 1 hour and a half that combine playing guitar, singing and dancing. In the neighborhood of Macarena, it is one of the shows that enjoy a better opinion in Seville. Two daily passes at 7:00 p.m. and 9:30 p.m. of 1 hour and a half. Due to its good reputation, its prices range between € 59 and € 83. They depend on the choice of drink, tapas menu or dinner menu during the show. In the neighborhood of Santa Cruz, this “tablao” also offers two daily shows with 10 different artists. At 8:30 pm and at 10:30 pm, with an hour and a half and a price of € 35 including a drink. Inaugurated in 1966, Los Gallos is another of the most reputable “tablaos” in Seville. Founded in 1956 as the Patio Andaluz, it moved to the banks of the Guadalquivir in 1973 under the name of Patio Sevillano. Its history and reputation are preceded by artists as Lola Flores, Chano Lobato or Cristina Hoyos. Shows takes place everyday at 7:00 p.m. and 9:30 p.m. It has capacity for 300 people and its prices ranges from € 38 to € 72. It is depend on the choice of drink, tapas menu or dinner menu during the show. In the picturesque neighborhood of Santa Cruz you will find this beautiful 15th century palace. Its privileged acoustics gives them the opportunity to offer a magnificent show without the need for microphones or amplification. In this exquisite environment, they make daily shows for prices of between € 10 and € 18 for one hour. We recommend checking their time table as they vary according to the season. Also in the Barrio de Santa Cruz is this 18th century Palace that offers daily flamenco shows. There are numerous national dancing and singing awards. They offer two daily shows, at 7:30 p.m. and 9:00 p.m. With prices ranging from 10 to 17 €, you can also enjoy the museum, with one of the best collections of guitars in Spain. It is a flowery and beautiful Andalusian patio in a 15th century building that housed the Stables of the Lebrija Palace. Taking care of all the details in its decoration, the Casa de la Memoria can be one of the most beautiful places to enjoy a flamenco show. It offers daily shows at 7:30 p.m. and 9 p.m. In addition, you can enjoy its beautiful museum for a historical tour of Seville in the nineteenth and early twentieth centuries. Prices from 10 to 18 €. Right in the center of Seville, it is the most important flamenco museum in Seville. Apart from learning about the world of flamenco, you can also enjoy live shows. All the choreographies of their shows are created by Cristina Hoyos. Prices range between € 6 and € 30 depending on the different combinations between museum and show. In Triana and on the banks of the Guadalquivir River, this tablao combines school and flamenco shows. With an hour of duration, it offers shows on Thursdays, Fridays and Saturdays at 20:30. Prices range between € 20 and € 25. You can access all our Guided Tours in Seville and our Day Trips from Seville visiting our website. 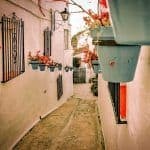 Do I need Visa to transit in Morocco?